Fallout 4 is a week away. We've been really interested in what we've seen so far from Bethesda and can't wait to set foot in the wasteland ourselves. As we approach the release of the latest in the series, I thought it apropos to recall how we felt about Fallout 3. I'm one of the hard to please old fans of Fallout and while Fallout 3 was successful in many ways, it just didn't feel right to me. Anyway, read on for more on it. 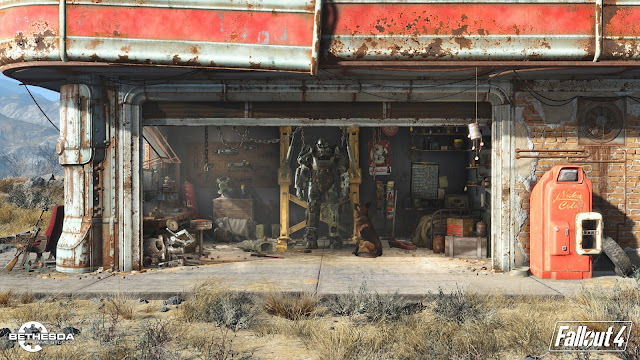 Here's hoping Fallout 4 lives up to some of the hype. Remember, I don't dislike Fallout 3. In fact, I highly recommend it to any fan of tomorrow land aesthetics, a taste for dark humor and a fondness for RPG action. Fans of the original Fallout series should take it with a grain of salt but should still come out pleased with the overall game.